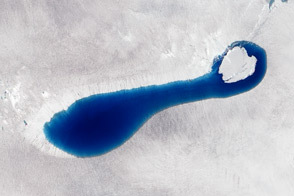 On March 18, 2013, the newly launched Landsat Data Continuity Mission (LDCM) began to send back images of Earth from both of its instruments—the Operational Land Imager (OLI) and the Thermal Infrared Sensor (TIRS). 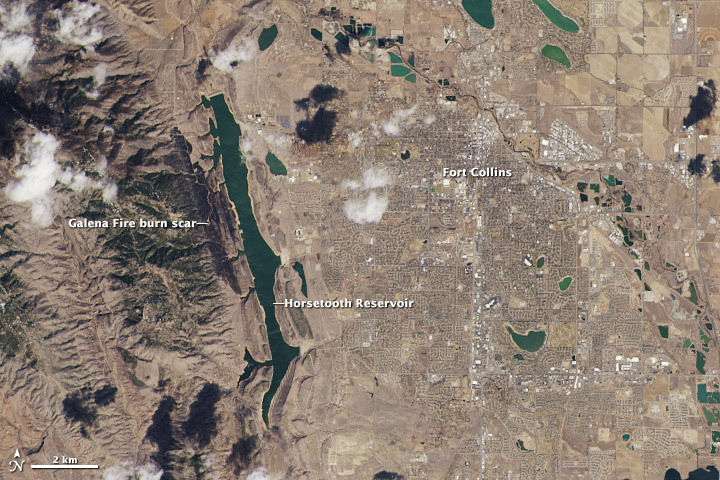 This view of Fort Collins, Colorado, is among the satellite’s first images. 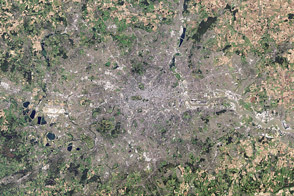 The images above are close-up views from the OLI sensor at its maximum resolution of 15 meters per pixel. The top image displays natural color, while the second image blends shortwave infrared, near-infrared, and green wavelengths (LDCM bands 7, 5, 3). 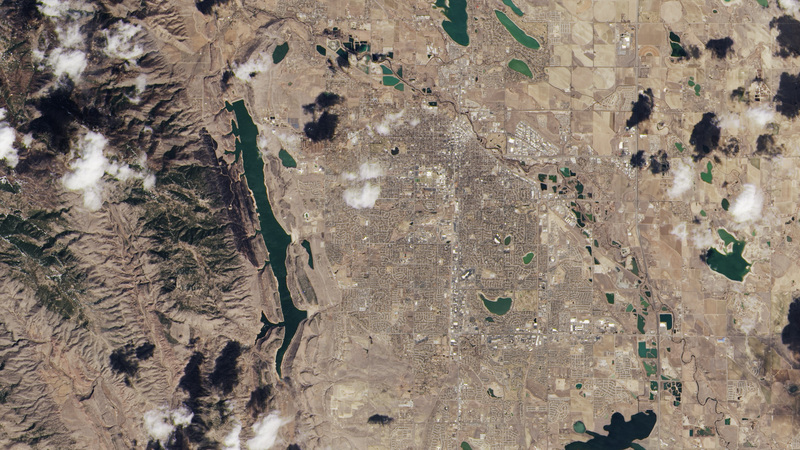 The close-ups were cropped from larger Landsat scenes (downloadable beneath each web image) that show where the Great Plains meet the Front Range of the Rocky Mountains in Wyoming and Colorado. 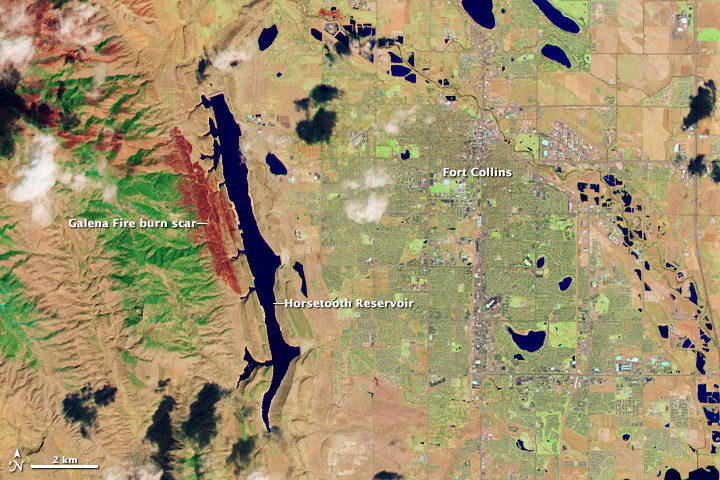 Made with reflected red, green, and blue light, the top image shows Fort Collins as the human eye would see it. 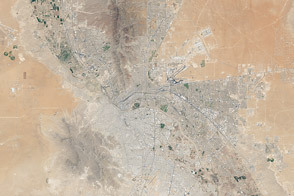 The city is a gray grid surrounded by the curving roads and brown yards of residential neighborhoods. White clouds cast black shadows on the ground below. Land freshly burned in the Galena fire is charcoal black—just slightly darker than the dark green coniferous forest to its west. 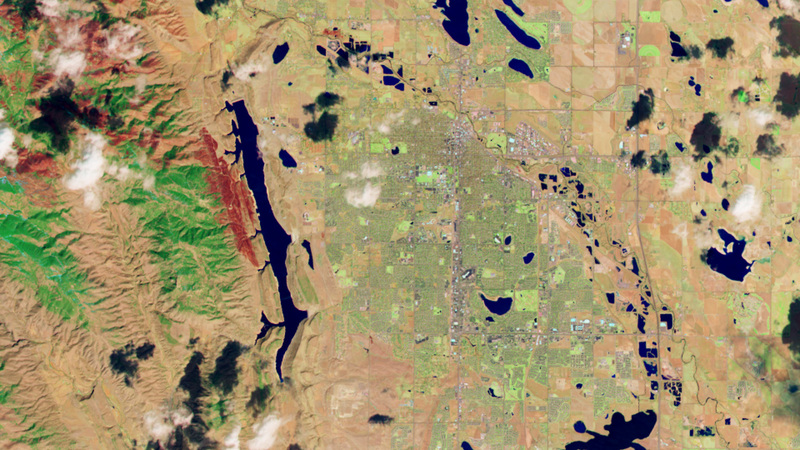 The second image shows Fort Collins in wavelengths of light not usually visible to people. Plants are green, city areas are purple, snow is pale blue, and bare earth is tan-pink. This combination of visible and infrared light reveals features of the landscape not otherwise visible. For example, irrigated parks, yards, and golf courses are bright green in this image, but brown in natural color. The Galena Fire burn scar is dark red and easy to distinguish from its surroundings. The Landsat Data Continuity Mission was launched on February 11, 2013, to continue the four-decade-long Landsat record of Earth’s landscapes. LDCM represents an evolutionary advancement in technology from previous Landsat sensors, collecting more data daily and with greater fidelity. The imagers also include two new bands to improve the view of clouds and near-shore waters. LDCM’s normal operations are scheduled to begin in late May 2013, after the instruments have been calibrated in orbit and the spacecraft has been fully checked out. At that time, NASA will hand over control of the satellite to the U.S. Geological Survey, and the satellite will be renamed Landsat 8. Read more about LDCM and its imagery in the NASA story: A Closer Look at LDCM’s First Scene. 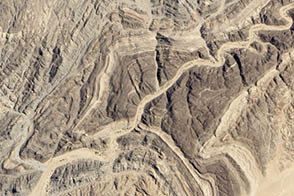 Images by Robert Simmon, using data from the U.S. Geological Survey and NASA. Caption by Holli Riebeek and Ellen Gray. 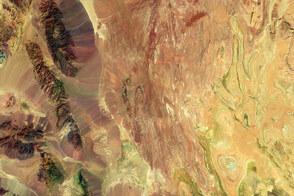 The new Landsat Data Continuity Mission satellite has collected its first, uncalibrated images of Earth. 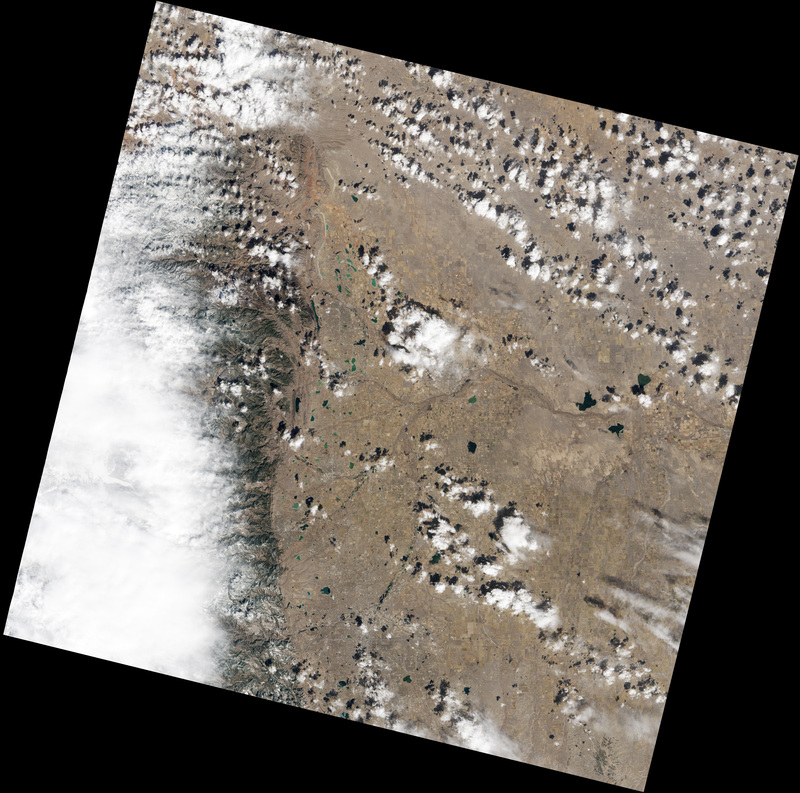 This pairing shows where the Front Range of the Rocky Mountains meets the Great Plains in Colorado.